The new small “Petit” with pearls inside are now available, in the sizes 15 and 17mm. Now with the revolutionary soft-touch function. 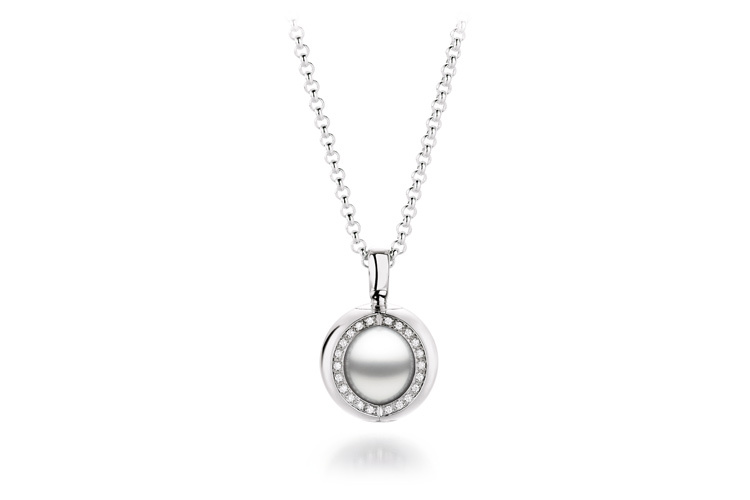 Through a gentle twist the Magic Pendant turns and shows its unique sides. The sphere inside reveals two different secrets.